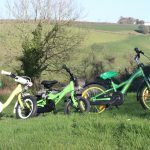 3 ‘early-rider’ bikes with Stabilisers. 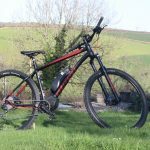 With a range of up to 100 km (easily enough to get to Plymouth and back! 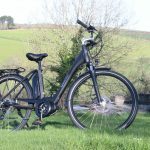 ), our electric bikes mean you can leave the car behind and explore Cornwall by pedal rather than petrol. 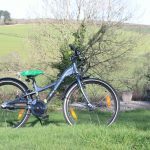 With great trails available nearby like Lanhydrock National Trust cycling trails and the world famous Camel Trail there are loads of opportunities to get out on two wheels. 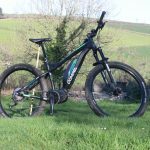 You can choose between, either a mountain bike, perfect for some off road riding yet still delivering a smooth and easy ride on normal bike paths. 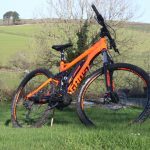 Or go for a more comfortable ‘Step-through’ bike which will help you cruise up those many, dreaded Cornish hills. Along with the bikes, you have the option of hiring one of our fantastic new beach trailers. These can be simply attached to the back of your bike to carry all your things for trips to the beach or other places. Don’t forget, as well as our new electric bikes, we also have a fleet of inflatable stand-up paddle boards (SUPs) which you can hire during your stay with us. Group paddle boarding adventures to Looe, Seaton or through the stunning Looe Valley can be organised before or during your stay. 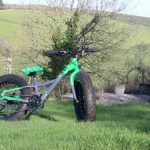 Below you can take a closer look at each of the bikes and find more details about them or click here to find information about prices. 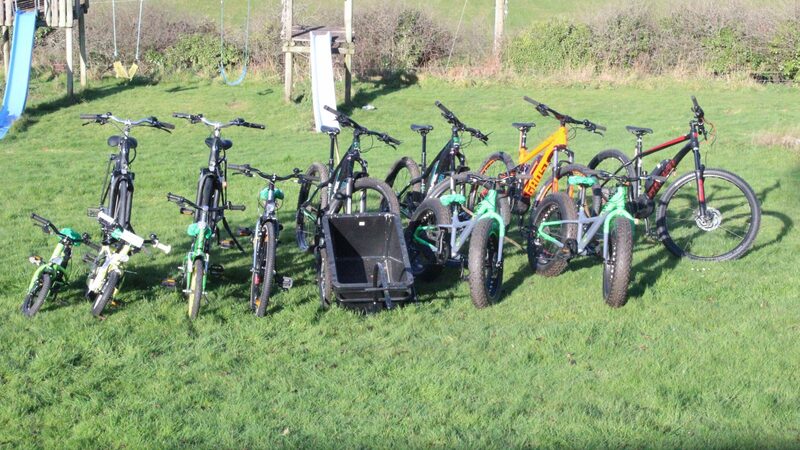 To hire one or more of our bikes please get in touch with us via e-mail or phone.